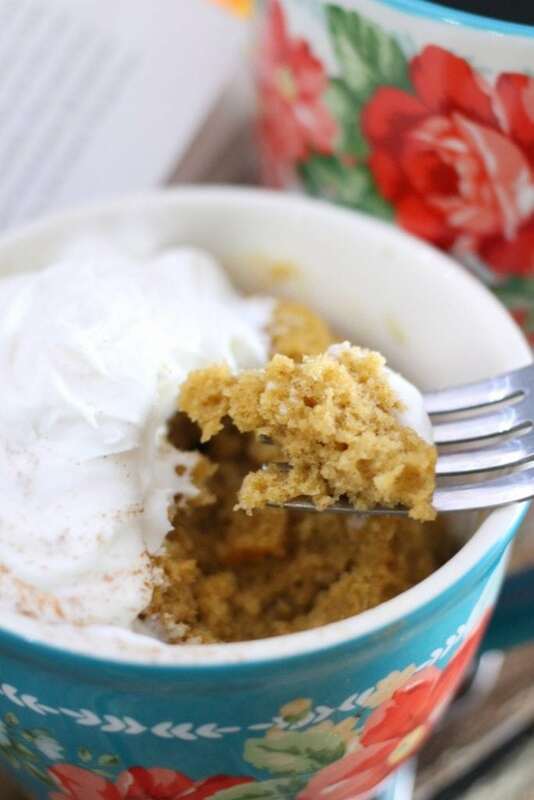 Our Cinnamon Mug Cake is the perfect one serving dessert. 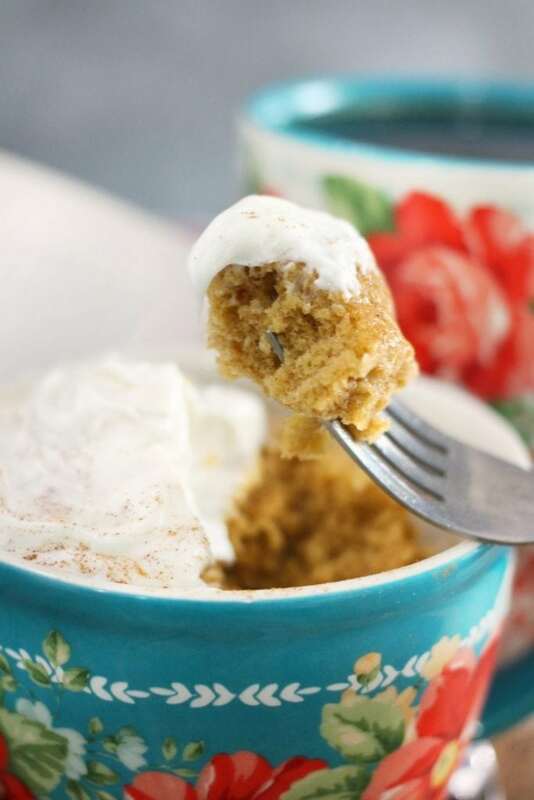 Cinnamon mug cake is like a warm hug. 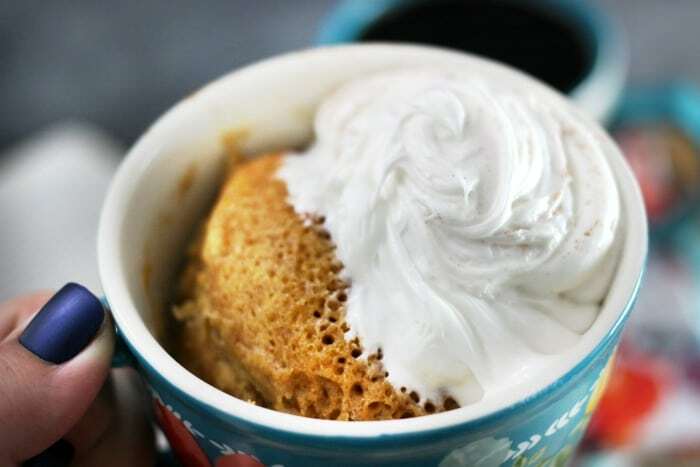 If you’ve ever had the Mondayest Tuesday ever and just desperately wanted to fall deep into the couch with your television remote or favorite book, a steaming cup of coffee, and fresh slice of cake after the kids are down and the house is finally *finally* quiet, then this Cinnamon Mug Cake is for you. If you’re feeling ambitions, add a dollop of cream cheese frosting on top too! 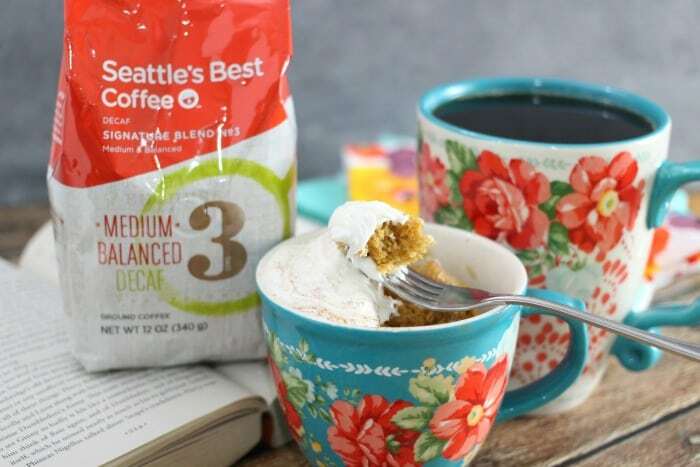 This was originally a sponsored post written by me on behalf of Seattle’s Best Coffee®. All opinions are 100% mine. Only a handful of totally common (probably in your pantry RIGHT NOW) ingredients and three minutes – prep time included! – will get you there. While the cake is happening, get your coffee on, and take a moment to make sure the hallway door is closed. Sleepy kids who smell cake baking, need not apply. 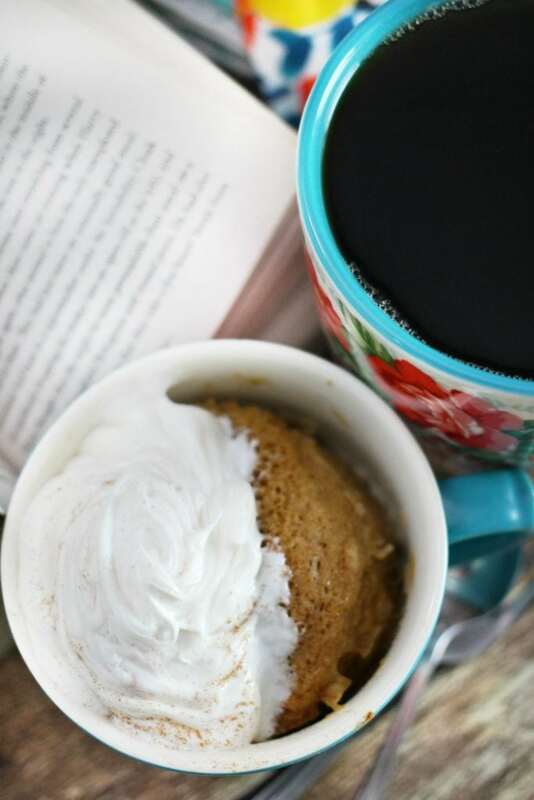 My fascination with mug cakes began with the realization that Husband doesn’t like cake (I know), and I will, when faced with the challenge, eat an entire cake on my own. So rather than make whole cakes to satisfy my once slice craving (and thusly fall down the ‘where did the rest of that cake disappear to’ rabbit hole‘), I began experimenting with mug cakes. And as it turns out, they’re both easy and fun to make! We keep a mason jar or two of prepped cream cheese frosting in the fridge just for occasions like this. Also, for when you need a spoonful of icing. 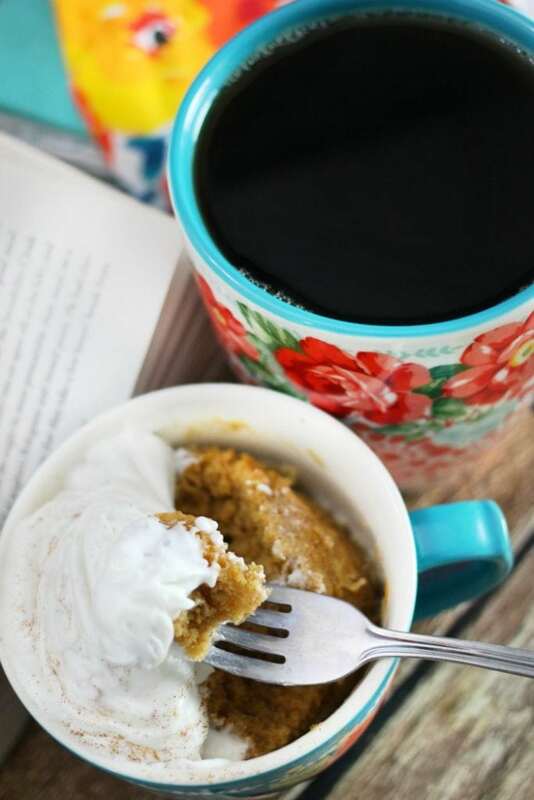 Because sometimes in the middle of the Mondayest Tuesday – usually right after everyone’s blown off nap – a spoonful of icing is just what the doctor ordered. If you’re not an icing prepper (that’s a thing, right? ), then you can totally grab a can from the pantry. And if you don’t have that either, try mixing together equal parts powdered sugar and cream cheese. Mmmmmmm. I’m a pretty firm believer that coffee and cake can solve most of the world’s problems. 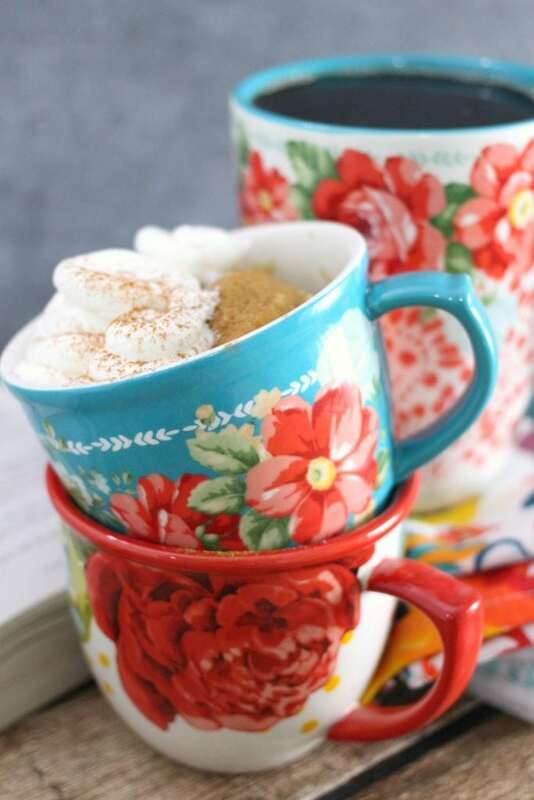 Especially when served in a pretty mug. I am #teamprettymugs4life. 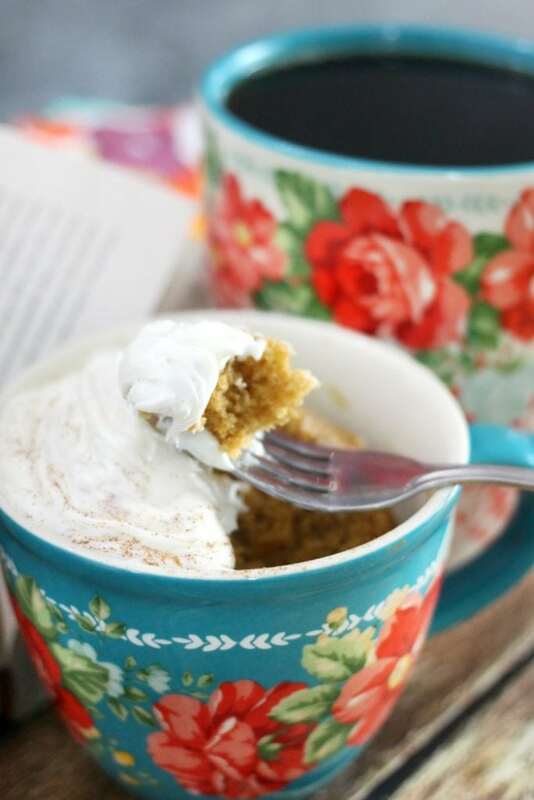 Not that I would ever turn down cake or coffee served in a not pretty mug. But then, good coffee and tasty cake have a way of making any mug look pretty. Amiright? We are also #teammugcakes4life. I can say we, right? You’re in this with me? 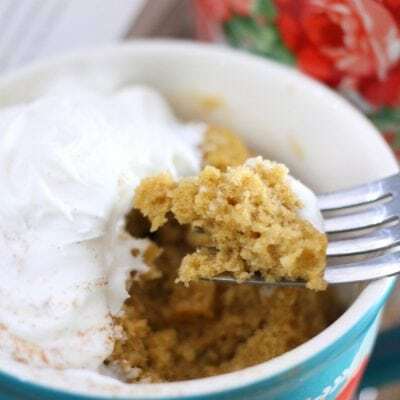 I served this Easy Cinnamon Mug Cake (which my husband just told me he always thought was “mud cake” – whuut? ), with a strong cup of Seattle’s Best Coffee®. Mmmmmm. 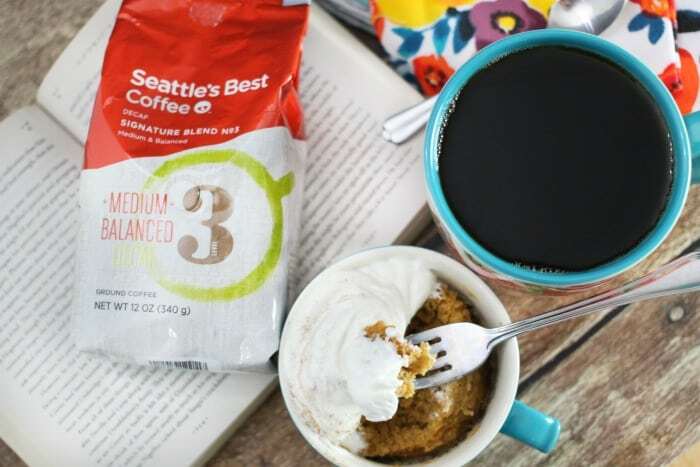 Of the decaf variety since is was evening – but honestly, I’m thinking we could call this Coffee Cake in a Mug and serve it for breakfast too. Cake for breakfast is a thing, right? If it’s served with a good cup of coffee? 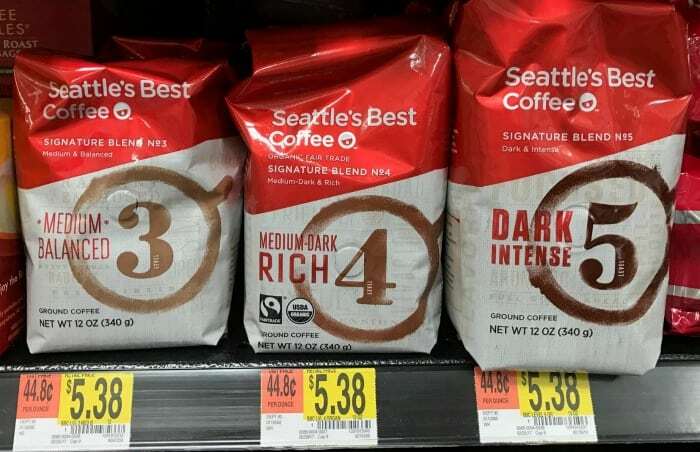 We love Seattle’s Best Coffee® because it tastes like the expensive stuff my mother-in-law buys but for a normal people price. Smooth and rich in flavor, it’s like getting a free upgrade on your regular coffee. I drink my coffee black (or occasionally Bulletproof coffee with butter in it), so it’s important to me that the quality and flavor are top notch since it needs to stand alone. Also, I can grab it at my local Walmart. So, yay for convenience! 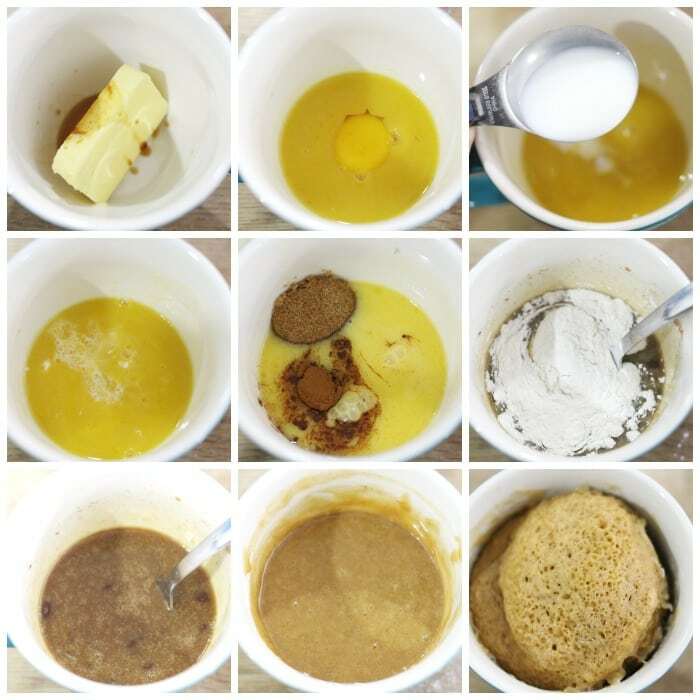 Add everything except the flour to a large microwave safe mug. Whisk together with a fork. Add flour and mix well until everything's incorporated. A little bit of lumpiness is okay! Microwave for 90 seconds, then top with your favorite icing (this Simple Cream Cheese Icing would be my suggestion!). Serve with a piping hot cup of fresh coffee and enjoy! You might want to check the top recipe. You show cooking for 60 MINUTES instead of SECONDS. Granted cooking one mug for an hour is a little absurd, so the change is kind of obvious, but there could be some people who do “just the way it’s written” so I thought I’d mention it. 🙂 BTW, that cinnamon recipe I just ate is delicious! 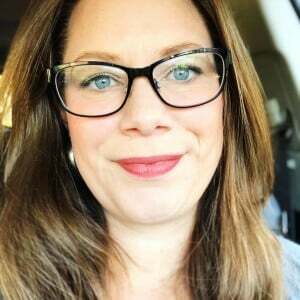 I love your conversation and recipes. 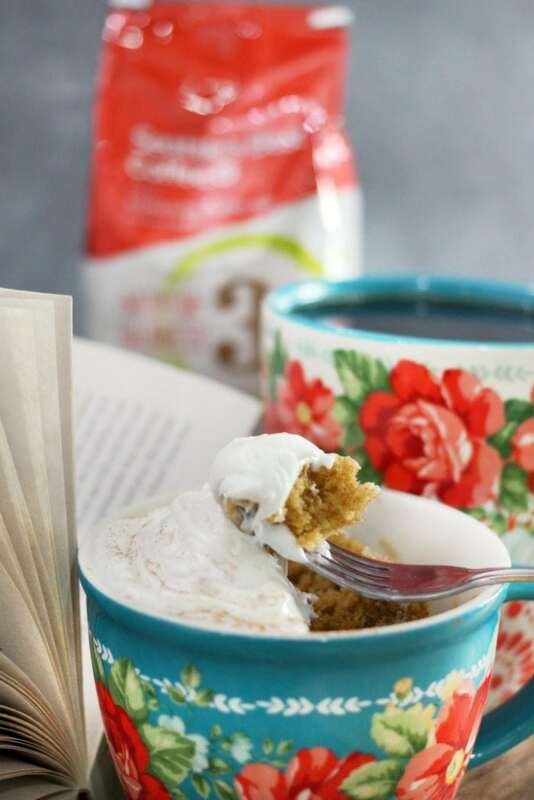 And I love the mug cakes–made them with my daughter’s little day care kids successfully and gave them as Christmas gifts one year to family members. Your cinnamon is a new one to add to my recipe collection. thanks for being there for us out here. 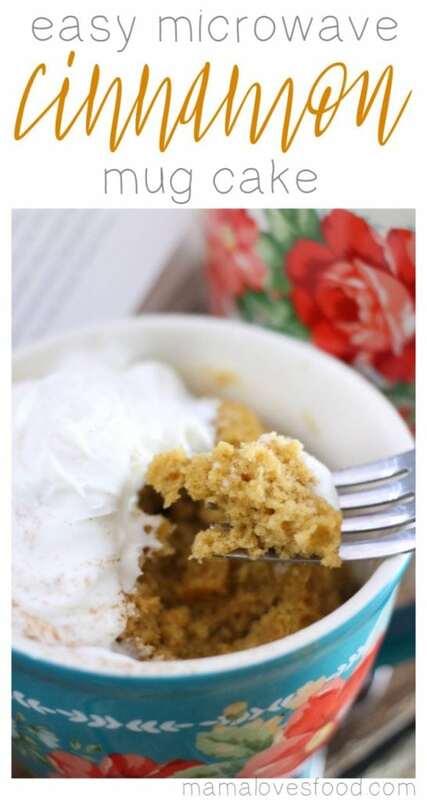 This recipe definitely hits the spot, love it with a dollop of cream cheese frosting! Yum! 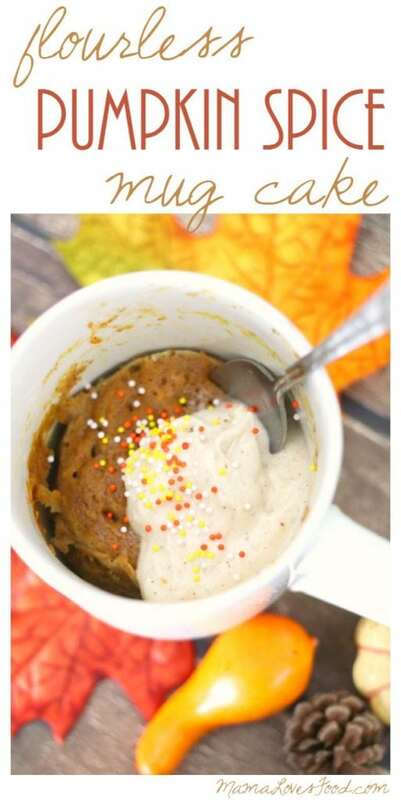 My kids love mug cakes and I love this is simple enough that they can make it on their own!